Leona has been a resident of Oak Shores since 1989. Upon her arrival, she was employed by Six Corporation and also worked at the Heritage Ranch Sales Office until 1996. She then joined the sales staff at Oak Shores Realty. 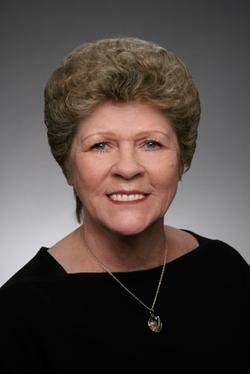 Her real estate career and in-depth training began in 1977 with Century 21 in Thousand Oaks. Later she transferred to Fred Sands Realtors in Westlake Village where she remained for 7 years. Next she joined her friend and associate Gary Paller of Paller and Company Realtors in Agoura. During these years Leona also served on the grievance committee for the Conejo Valley Board of Realtors. Leona enjoys her profession and loves working with people. She is here to help you with all your real estate needs, specializing in the communities of Oak Shores and Heritage Ranch. Her clients consistently comment on her warm personality, honesty, and integrity. Leona feels she owes much of her success to the support of her husband and son. Don Young, Sr. is a builder and Don Young, Jr. is a concrete and masonry contractor. They are knowledgeable and willing to help clients make informed choices in purchasing the right lot for a custom built home. Leona has a personal commitment to making each real estate transaction a pleasurable experience.